SKU: N/A. Categories: Couplings, Pipe Fittings & Flanges. 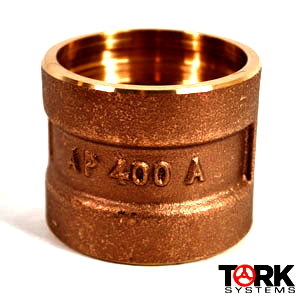 Tags: Bronze, Coupling, Reducing, Silbraze, Silbraze x Threaded, Threaded. 1/8 in., 1-1/2 in., 1-1/4 x 1 in., 1-1/2 x 1 in., 1 x 3/4 in., 1 x 1/2 in., 1-1/4 in., 1/2 in., 1/4 in., 1 in., 2 x 1-1/4 in., 2-1/2 in., 2 in., 3/4 x 1/2 in., 3 in., 3/4 in., 3/8 in., 3-1/2 in., 4 in., 5 in., 6 in., 8 in. Be the first to review “Bronze Coupling” Click here to cancel reply.